Norwegian artist Edvard Munch (1863–1944) attained fame early in his career for his depictions of human anxiety. 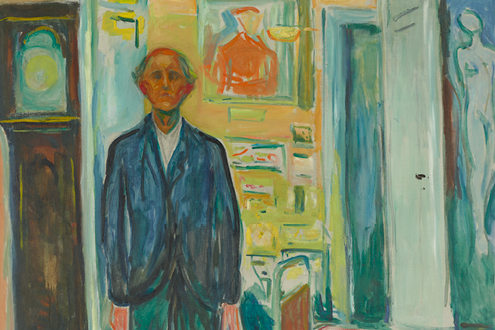 Throughout his career, Munch regularly revisited subjects from his earlier years, exploring them with renewed inspiration and intensity over time. The first canvas in this exhibition—Self Portrait: Between the Clock and the Bed—is also one of the last works that Munch painted. It will serve as a touchstone and guide to the other works on view. This exhibition features 43 of Munch’s landmark compositions created over a span of six decades, including 16 self-portraits and works that have never before been seen in the United States. More than half of the works on view were part of Munch’s personal collection and remained with him throughout his life. Michelangelo Buonarroti (1475–1564), a towering genius in the history of Western art, is the subject of this once-in-a-lifetime exhibition. During his long life, Michelangelo was celebrated for the excellence of his disegno, the power of drawing and invention that provided the foundation for all the arts. For his mastery of drawing, design, sculpture, painting, and architecture, he was called “the divine one” by his contemporaries and his works continue to enthrall us today. This exhibition presents a stunning number of works by the artist: 133 of his drawings, three of his marble sculptures, his earliest painting, his wood architectural model for a chapel vault, as well as a substantial of complementary works by other artists for comparison and context. 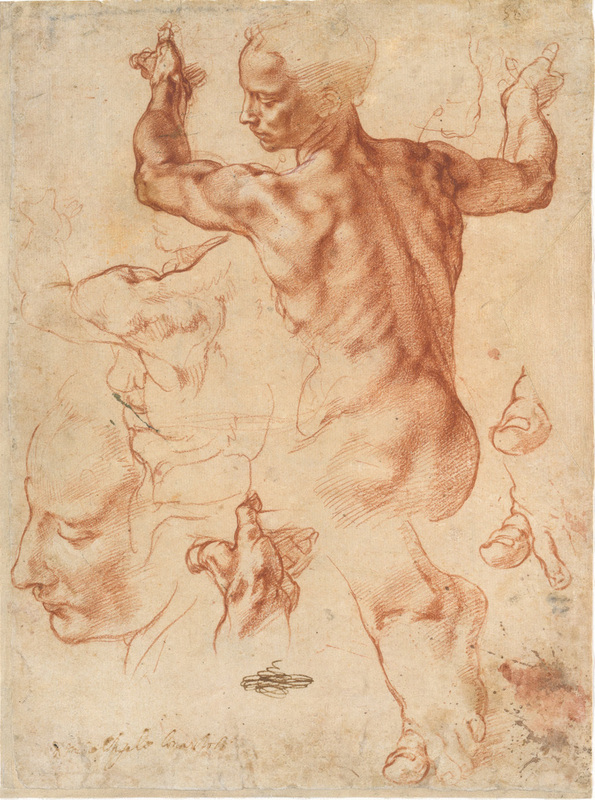 Selected from 50 public and private collections in the United States and Europe, the exhibition examines Michelangelo’s rich legacy as a supreme draftsman and designer. For more than twenty years, Los Angeles-based artist Laura Owens has pioneered an innovative approach to painting that has made her one of the most influential artists of her generation. Her bold and experimental work challenges traditional assumptions about figuration and abstraction, as well as the relationships among avant-garde art, craft, pop culture, and technology. Owens emerged on the Los Angeles art scene during the mid-nineties, at a time when many in the critical establishment viewed painting with suspicion. Her early canvases upended the traditions of painterly abstraction by incorporating goofy personal allusions, doodling, and common craft materials. This presentation in the Museum’s fourth-floor collection galleries will focus exclusively on works made by artists in their mid to late careers. Spanning from the late 1960s to today, the installation chronicles the many years of sustained experimentation, daring invention, and thoughtful reconsideration that distinguish an individual artist’s career long after his or her breakthrough moment. Highlighting lesser-known works by prominent artists and key works by some less familiar names, The Long Run provides another viewof the history of art over the last half century. 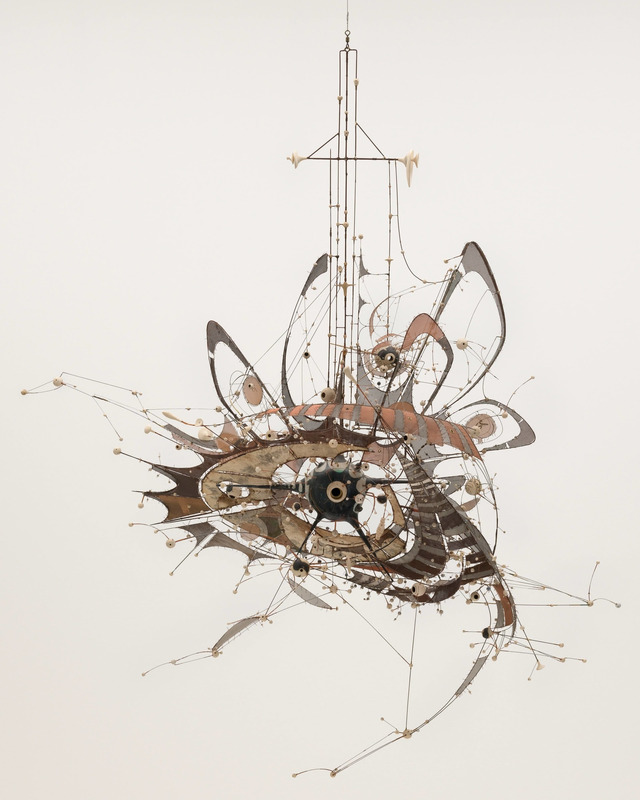 All works are drawn from MoMA’s collection, and includes examples by Lee Bontecou, Louise Bourgeois, Melvin Edwards, Gego, Philip Guston, David Hammons, Jasper Johns, Joan Jonas, Elizabeth Murray, Georgia O’Keeffe, Gerhard Richter, Frank Stella, and many others. Murray arrived in New York in 1967 during the heyday of Minimalism and the rise of Conceptualism, and amid prevailing assertions of painting’s demise. As she recollected, “The mood was that painting was out, that hip peo ple, people who were avant, weren’t involved in painting. 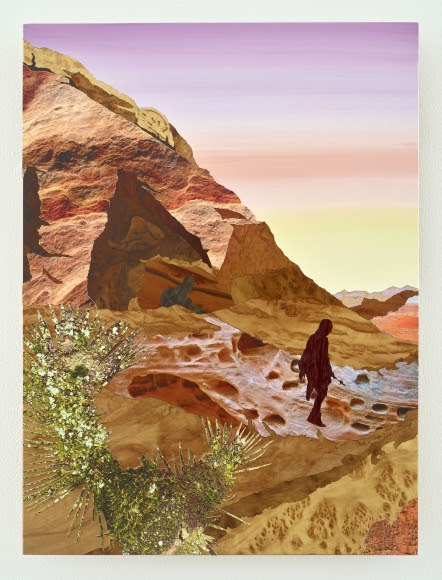 That was unnerving, but then I didn’t give a damn.” Fully committed to painting, Murray broke new ground depicting personal, poetic and at times feminist narratives on complex multidimensional shaped canvases. This exhibition draws together sixteen paintings created by Murray in the 1980s, including loans from the Colby College Museum of Art, The Museum of ModernArt, the Philadelphia Museum of Art, and the Whitney Museum of American Art. 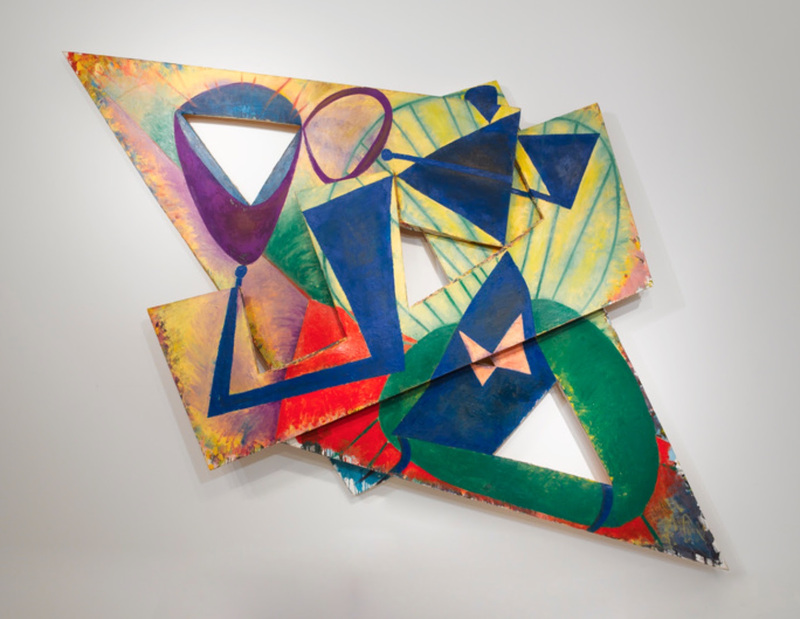 Continuing where Pace Gallery’s 2011 exhibition Elizabeth Murray: Painting in the ‘70s left off, Elizabeth Murray: Painting in the ‘80s explores another critical decade in the artist’s career, during which Murray began painting her iconic shaped canvases. 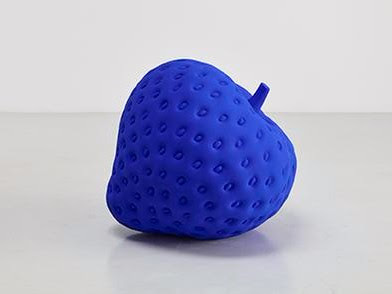 David Zwirner presents two major concurrent exhibitions of recent work by Yayoi Kusama on view across three gallery spaces in New York: Festival of Life at 525 and 533 West 19th Street in Chelsea and Infinity Nets at 34 East 69th Street on the Upper East Side. 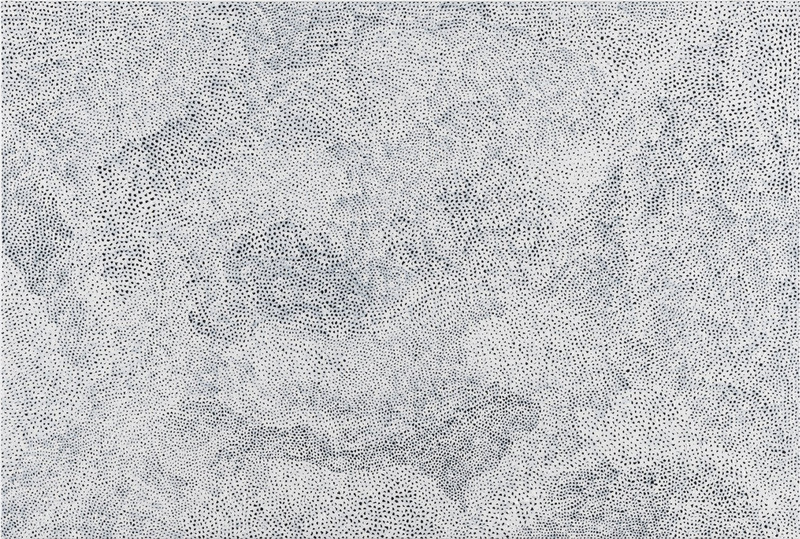 The exhibitions feature sixty-six paintings from her iconic My Eternal Soul series, new large-scale flower sculptures, a polka-dotted environment, two Infinity Mirror Rooms in the Chelsea locations, and a selection of new Infinity Nets paintings uptown. Kusama’s work has transcended some of the most important art movements of the second half of the twentieth century, including Pop art and Minimalism. In a unique style that is both sensory and utopian, Kusama’s work possesses a highly personal character, yet one that has connected profoundly with large audiences around the globe. Throughout her career she has been able to break down traditional barriers between work, artist, and spectator. Fritsch’s sculpture often begins with a familiar image, which she subverts with shifts in scale and color. The exhibition opens with three such objects greatly enlarged: a lantern in pink and black; an egg, half in yellow and half in orange; and an enormous human skull in white. In the second room are a purple spinning wheel, an oversize blue strawberry, and a large red and white snake. In the exhibition’s third room is a bronze sculpture of a cowry shell. Standing almost ten feet tall, it towers over the viewer, its serrated aperture both inviting and menacing, while its matte-green finish transforms the organic form into something disquietingly unfamiliar. Offering a fresh, in-depth examination of his varied career, Origins & Innovations brings together the David Smith’s paintings, drawings, photographs, and sculptures of the 1930s alongside examples of his later work, for which he is best known. This exhibition elucidates the connections between his earliest inspirations and his life-long investigation of their potential. 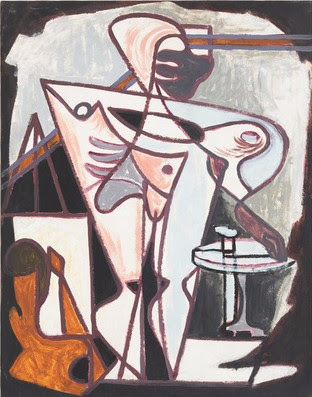 Richly inventive, Smith refused to restrict his practice to a single style, method, medium, or subject. His exploration of a diverse array of sources, transformed by his tremendous creative energy and a powerful belief in his own identity as a unifying force, enabled him to create multiple distinct bodies of work. Including major museum loans, as well as works that have never been exhibited before, this exhibition reveals surprising juxtapositions of materials and scale that shed new light on Smith’s lasting artistic legacy. Born in 1929 in Matsumoto, Japan, Kusama briefly studied painting in Kyoto before moving to New York City in the late 1950s. She began her large-scale infinity net paintings during this decade, and went on to apply their obsessive, hallucinatory qualities to three-dimensional work. This show will include large-scale landscapes and portraits painted within the last 2 years by Katz, who turned 90 this year. After 75 years of painting, Katz’s eye and hand are now at a moment of perfect synchronicity. At this moment, he unleashes that practiced hand and eye loose on the canvas, with the hunger of an artist at the beginning of that journey, not the close. This exhibition is a celebration and recognition of that enduring vision. Katz has, from the beginning, painted light and the sensation of time experienced in the moment; and today that depiction has an urgency and energy that feels more vivid and visceral than ever before. 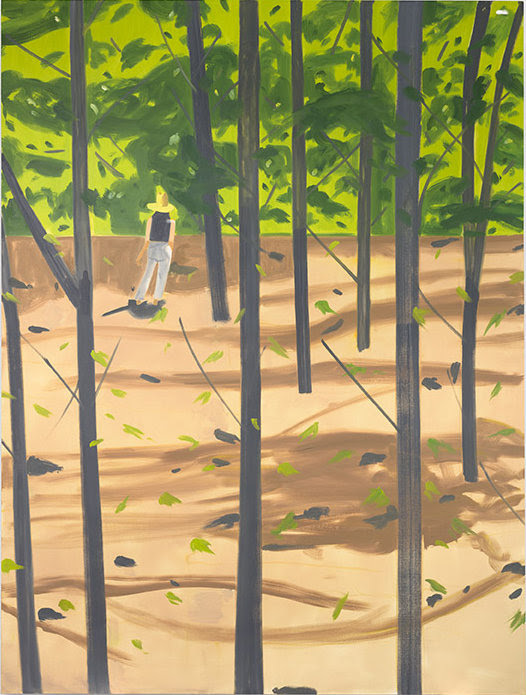 There is a confidence in restraint and simplicity, and a faith in instinct: with the most economic of means his landscapes become an environmental experience of light; His portraits, unadorned with any clue of history or setting, stare back at us from a timeless place of profound humanity. 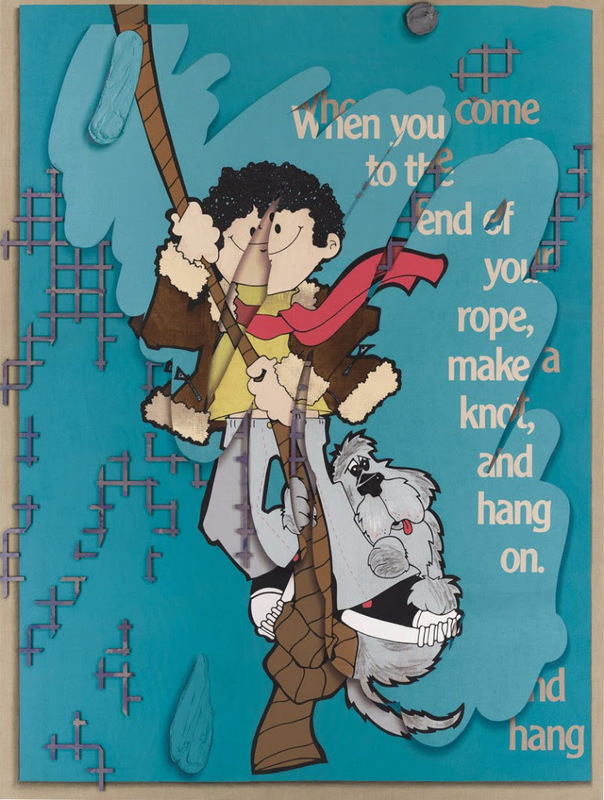 Running concurrently at Gavin Brown Enterprise’s downtown location is a delightful exhibition of Katz’s Cut Outs: 1950s-1980s. 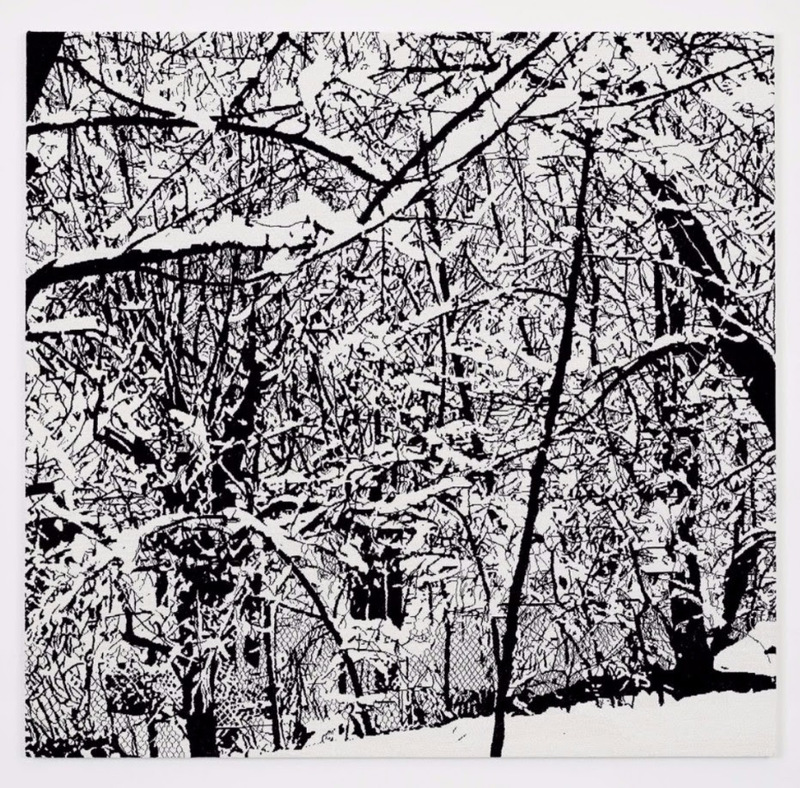 Farhad Moshiri’s latest series of works entitled Snow Forest, is inspired by photographs taken during the winter in Iran. Carefully hand-embroidered with pearls beads, these new compositions seem to refer to calligraphy, as the black branches traverse the canvas like a quill would mark the paper. Evoking a melancholic and abstract visual realm, the works suggest a minimalist sense of poetry. Moshiri photographed winter landscapes in Iran years ago, recently found them in old boxes and decided to use them as the point of departure of this new series. By evoking images and cultural artifacts that suggest both American and Iranian cultures rather than pointing out the cultural dichotomy between East and West, Moshiri’s practice conveys a certain idea of porosity of cultures. In times of restriction of access to specific populations through the US travel ban including Iran, Moshiri’s work appears as a necessary proof that cultural borders remain open while physical ones may close. Taylor’s new work reveals an evolution in media and technique that demonstrates her restless creativity and originality. Here, Taylor assembles small parts cut from diverse materials to create a disjointed whole.